Acoustic blankets to cut reflection from the ceiling. Sound blanket is 24 x 48 inches and has grommets all around it for easy attachment to a ceiling. This acoustic blanket was designed to cut reflection from the ceiling. The sound blanket is 24 x 48 inches and has grommets all around it for easy attachment to a ceiling. 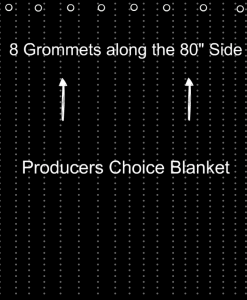 It is made out of our Signature Producer’s choice acoustic blanket material. One side white, the other side Black. 16 grommets evenly distributed all around the blanket edges. 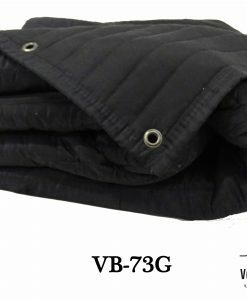 This blanket is also a very helpful addition to Carry-on Vocal booth to cover the back of the voice actor for complete canceling of the echo and reverberations.